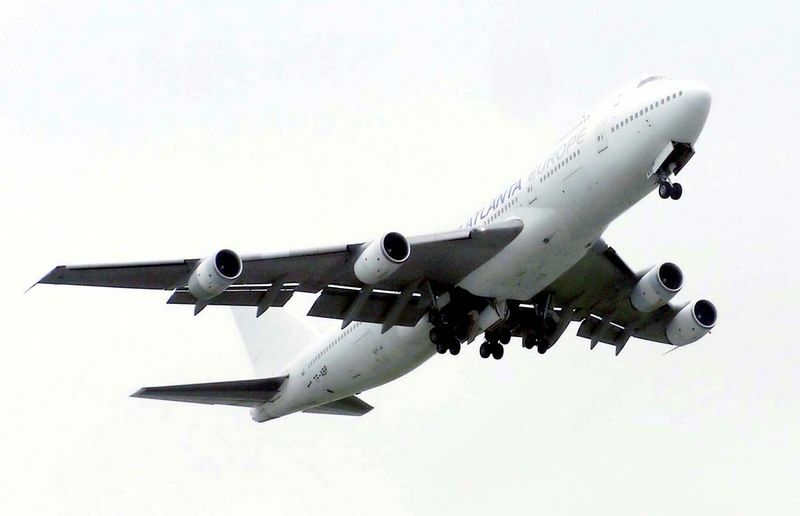 The 747-200 has more powerful engines, higher takeoff weights (MTOW), and range than the -100. A few early -200s retained the three-window configuration of the -100 on the upper deck, but most were built with a 10-window configuration on each side. Several versions in addition to the -200 were produced. The 747-200B is an improved version of the 747-200, with increased fuel capacity and more powerful engines; it first entered service in February 1971. The -200B aircraft has a full load range of about 6,857 nmi (12,700 km). 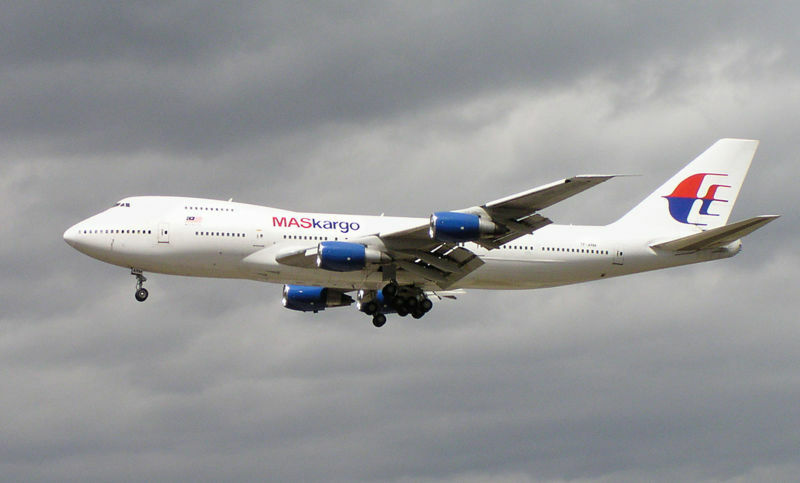 The 747-200F is the freighter version of the -200 model. It could be fitted with or without a side cargo door. It has a capacity of 105 tons (95.3 tonnes) and an MTOW of up to 833,000 lb (378,000 kg). It entered first service in 1972 with Lufthansa. The 747-200C Convertible is a version that can be converted between a passenger and a freighter or used in mixed configurations. The seats are removable, and the model has a nose cargo door. The -200C could be fitted with an optional side cargo door on the main deck. The 747-200M is a combination version that has a side cargo door on the main deck and can carry freight in the rear section of the main deck. A removable partition on the main deck separates the cargo area at the rear from the passengers at the front. This model can carry up to 238 passengers in a 3-class configuration if cargo is carried on the main deck. The model is also known as the 747-200 Combi.As on the -100, a stretched upper deck (SUD) modification was later offered. A total of 10 converted 747-200s were operated by KLM. UTA French Airlines also had two of these aircraft converted.